Technology is genius, right? It expands our worlds and connects us to others every single day. In addition to connecting with other people, it can also connect us to wildlife. Maybe you are a devoted hunter, or maybe you are an avid outdoors person, either way, it is probably safe to assume that you like to know what is happening with the activity in your favorite area. Is that so? Well, then what are you doing without a trail camera! With Browning Trail Cameras you have the ability to check the trails and their activity day and night. Because of the ever evolving nature of these products, we've re-evaluated the list and updated our information to include todays most favored trail cameras from Browning. Some of these models include their Recon Force, Strike Force and Dark ops lines. We've also updated our provided information to give you insight on their most valuable features and aspects such as detection affectiveness, video quality and more. This will allow you, the reader, to also evaluate these cameras for yourself, and make the best decision possible. They are durably made and uniquely crafted with the best materials. And, of course, they blend right into the environment you mount them in. Other cool features that they bring forth are night-vision as well as time-lapse imaging. All of this comes in high resolution as if you are right there, seeing everything in plain view. These trail cameras are a hunter’s best friend because they are easy to use, reliable and they take great photos and videos from a considerably long range. 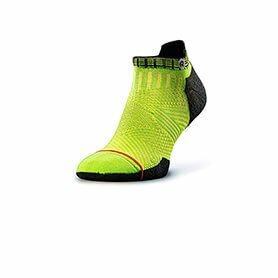 Don’t you want to gear up for a successful season? Capture some rapid-fire movement sequences? Most likely your answer is yes! For those interested in reading further into what Browning has to offer with their trail cameras, keep reading. Our top 10 list is right around the corner. Monitor day and nightlife whenever and wherever with this Browning Recon Force Trail Camera. Its camouflage design keeps it hidden from the wildlife you are keeping an eye on while it helps you keep an eye on them. Included is a Sony 16GB card so you have plenty of memory space to capture the pictures and footage that you need. Simply eject the card from the trail camera and pop it into your computer or other viewing device and see the action at your fingertips so you can devise your plan for action ahead of time. It is important that you get a clear image so you know exactly what you are looking at, and this Browning Recon Force trail camera makes sure you get that. It is obvious that the point is to be hidden when capturing the images you want, so for that reason, this camera takes them silently during the day and the night as to not scare away the animals with a shutter sound. This camera is compact and can fit mounted almost anywhere. Because of its compact size, it helps the camera remain hidden. It is easy to carry along with you and your other gear on your hunting trips, too. 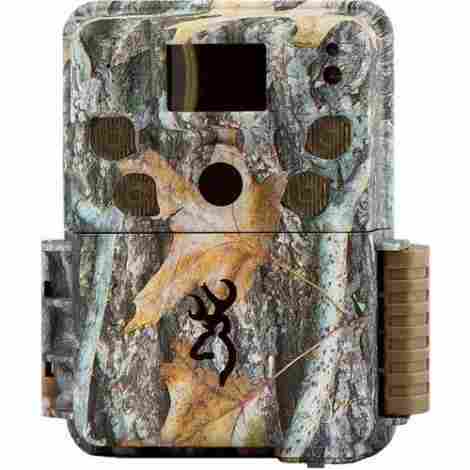 This Browning Recon Force trail camera is a great product for the price. It takes high-quality, long-range HD pictures and video footage both during the day and at night. This camera is a great investment for the reliable performance every sportsman wants. This Browning Strike Force HD 850 Trail Camera is sure to be a useful accessory on all of your hunting trips going forward. It is exactly what you have been missing and need. Easy to carry along and mount upon a tree, this camera will capture high-definition images and footage to be your eyes on the trails 24/7. Day and night, you can see what creatures are around the area, making your sportsman dreams come true. With the quick trigger speed on this Browning Strike Force trail camera, you can capture amazing live-action shots in mere seconds. Set it to either the multi-shot mode or rapid-fire mode and catch up to 8 incredible movement sequences almost instantly. This compact camera hides away easily and captures amazing video footage with full sounds. Hear fawns calling out to does. Hear bucks grunting. You will feel like you are sitting right there in front of any of the creatures you capture on film. This Browning Strike Force trail camera is easy to use, lightweight to carry with you and produces high-quality images and footage, therefore making it a great product for the price. You will be amazed with what you capture. The Browning Strike Force Pro Micro Trail Camera is similar to the Strike Force HD 850 in that they both highly perform. Where they differ, however, is that the Strike Force Pro Micro trail camera features 18 MP resolution picture quality and offers a 1.5-inch color viewing screen. It takes night-vision images using an infrared emitter that gives off a faint red glow and infrared flash when it shoots videos or photos. It is a highly efficient tool to have in your hunting arsenal or just for viewing activities in your backyard. This Browning Strike Force Pro Micro trail camera is a wonderful high-performance tool to take along with you on your next hunting trip. It has a considerably longer battery life and spacious memory card. It also has a quality infrared emitter to capture quality 18MP resolution images. It does this by detecting the game’s heat and movement from 3-20 feet away, so it won’t skip a beat. This camera is incredibly efficient in power and memory. You can store all of the images and video that you gather on the included SD card and from there transfer them to your computer or other smart device with a card reader. Along with spacious memory, the camera has a 12-Volt external battery jack that runs on 6-AA lithium batteries that can provide up to over 11 months of life. This Browning Strike Force Micro Pro trail camera is super-efficient because it is easy to use, produces high-quality images and footage, and has long lasting life and storage. Therefore, it is a valuable and great tool for the price. Video recording in “Ultra” mode can drain batteries faster than normal. Likewise, colder temperatures can affect battery life. The Browning Trail Cameras Dark Ops Elite trail camera is a great hunting companion, much like all of the rest. You will love this one most in the daytime, though it does offer night vision capabilities as well. Mount it up to a tree in your hunting area or near your post to get the best hunting results this season. With a completely silent performance, no flash to scare off the animals and good quality outcomes, you will be happy you chose this Browning trail camera. 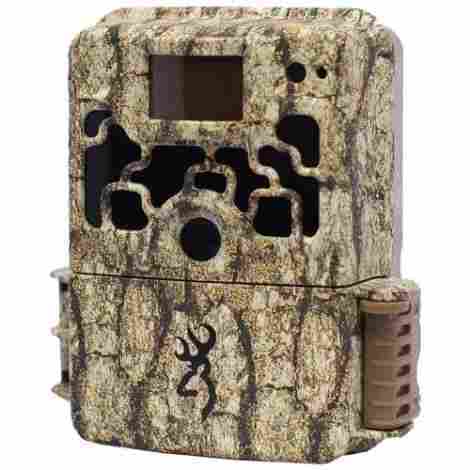 This Browning Dark Ops trail camera is easy and quick to set up. Simply mount it to a tree or post with another Browning mounting accessory and you are good to go with rapid response images. It will rest secure wherever you set it up and with its camouflage casing, hardly anyone or anything will notice or tamper with it. Though this camera takes both daylight and nighttime footage, its strength is in daylight images. It produces solid photos and videos with sounds that will make you happy. See all of the wildlife in high resolution with either photos or video footage. This Browning Strike Force Trail Camera with 1.5 Inch Color Viewing Screen allows you to detect and view the game you are after in many ways that you love. Offering long range detection, high-resolution images and also helpful data on the view screen, you won’t be disappointed with how helpful this camera will be. You may just want to pick up a few more to make sure you span the full potential of the area, hunkering down ultimate wildlife coverage. With the moon phase detection that displays on the data strip, you can learn a lot about which animals are active or inactive during a full or nearly-full moon. This data tells you when the moon provides brighter lighting conditions at night that allow certain animals to be more visible to their predators. Also, this feature helps detect whether the background in your images is brighter due to the fullness of the moon or not. This trail camera has a motion detection range of up to 80 feet, meaning that you can get a good view of a lot wherever you mount this camera. Add a few more in the area and you will have amazing coverage. Track your wildlife from whatever vantage point with this long-range camera. 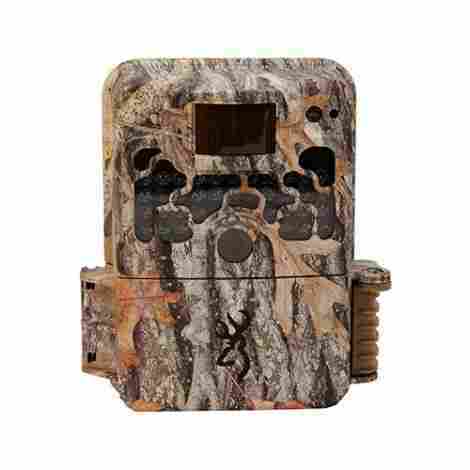 You will feel like you got the best product for your buck with this Browning trail camera, especially because of the high-resolution images and footage and the data that it provides you. Pick up one or a few of these cameras to enhance your next hunting season. This Browning Trail Camera Range Ops XR camera is perfect for multiple uses: take it out into the woods, put it up in your backyard or have it patrol your driveway. Any way that you choose to use it, you can expect to see the action going on day and night. The undetectable infrared flash catches activity at night and during the day you will get numerous photos of deer, foxes, birds, you name it. Whatever crosses its path. There is no doubt that you will love the end result. You do not have to be super tech-savvy to figure out how to use this Browning Range Ops XR trail camera, which is an attractive feature! You do not have to be intimidated by technology to reap its benefits, and you should let the camera be a tool to help you out with another successful hunting season. This can depend on the temperatures that you put the camera in. Unfortunately, it is true for most battery-operated devices that cold weather can drain them faster. However, this camera holds pretty strong and in moderate conditions, this camera’s battery life can last a long time. 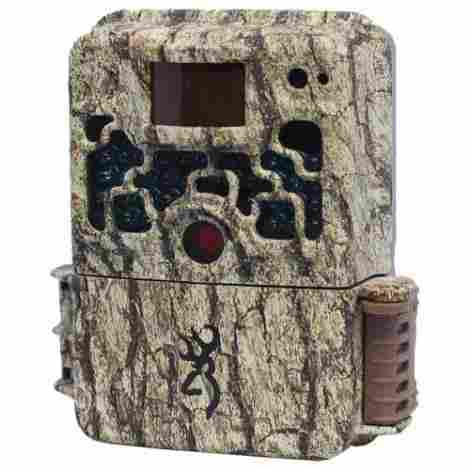 This trail camera is perfect for the sportsman or wildlife lover that is looking for a reasonably priced camera. It is easy to set up and program. It functions with a high-performance operation. You cannot beat the value of this trail camera. Do not let the name or type of camera fool you. There are the obvious uses for the Browning Strike Force Elite HD Trail Camera and then there are other less thought of ways to use it. Obvious ways include hunting for game or admiring wildlife, less obvious ways include posting it in your yard in order to watch out for theft or for unwanted critters. Either way that you use this trail camera, in admiration or staying alert, you will be pleased with the image outcomes. When it comes to capturing animals, speed is important to capture a clear image. Fortunately, this Browning Strike Force Elite HD trail camera has a quick-fire trigger speed that captures movement well. Whether an animal is sitting, running or flying by, the intersection with the infrared beam range will capture an image. Watch out or it may capture you on camera too! With this camera set up in your yard our out on the trails, you can begin to learn about the pattern of animals you may otherwise never have known. Capture and study which critters are eating up your hard work in the garden. Then, take the measures to make sure you are prepared to keep them out going forward. This camera will prove to be a useful tool in many ways other than just for hunting. This Browning Strike Force Elite HD trail camera is a reasonably priced camera. It is easy to set up and program, it is a useful tool overall and it functions with a high-performance operation. You will quickly learn to love the value of this trail camera. This Browning Strike Force Elite Sub Micro 10MP BTC5HDE Trail Camera is similar to the Strike Force HD 850 and the Strike Force Elite in that they all perform highly. 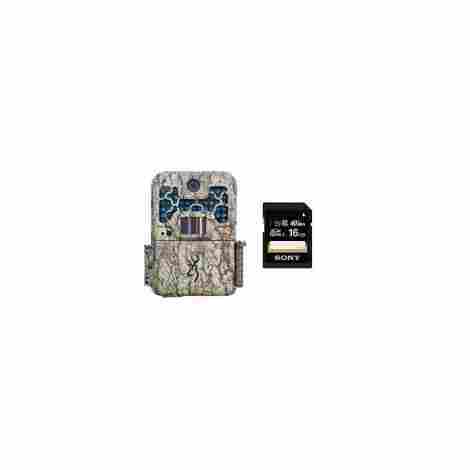 Where this one differs, however, is that the Strike Force Elite Sub Micro trail camera is equipped with a zero blur technology so that all of your images and footage come out clear and it is also water and weather-resistant so you can be worry-free leaving it out no matter which season it is. You will be able to monitor all of the action that occurs all year long with this trail camera. Get clear day and night shots with this Browning Strike Force Elite Sub Micro trail camera with its Zero Blur technology. Paired with the quick motion trigger speed, you will be able to capture clear movement sequences from anything that crosses the camera’s path. This camera is in work-mode 24/7 working off of motion detection when it is sunny, raining or snowing. Just because the weather starts doesn’t mean the action stops. The water and the weather-resistant designed case make sure your camera is protected in order to continually perform. This Browning Strike Force Elite Sub Micro trail camera is super-efficient because it works through all seasons and conditions and produces high-quality and blur-free images and footage. It also has long lasting life and storage. It is a valuable and great product for the price. Although the Browning Trail Camera Security Box is not the actual camera, it is an important accessory for your trail camera to have for protection. This security case box protects your trail camera from damage, theft and the outdoor elements that it may face. It is made with a heavy-duty construction that is built to last a long time and can accept padlocks to act as an even stronger safety mechanism. Make sure that your camera stays exactly where you positioned it with this durable and easy-to-use Browning security box. This Browning Trail Camera Security Box is constructed from heavy-duty 16-gauge steel and is powder coated in order to have a long life. It blends well into the tree you choose to mount it on, and it makes sure that your camera is shielded from damage and theft. With two locking channels for Python Cables and up to a 3/8-inch padlock, you will not have to worry about your camera being destroyed or stolen. Since your Browning Trail Camera is made to fit into this security box case, assembly should be a breeze. Simply encase your camera within the security box, lock it up and strap it to mount it to whichever tree or spot you feel it will give you the best view. There is no price for safety. Okay, there is with the Browning Trail Camera Security Box, and it is an affordable one that you cannot pass up for the protection it offers your trail camera. You will surely want to invest in this case if you do not already have one for your Browning trail camera. Browning Strike Force HD Camouflage Trail Camera is the perfect hunting tool you have been missing until now. It mounts nicely to a tree, spans a wide range, blends into the surroundings so it is not tampered with and captures images and video footage of anything that crosses its path. Your hunting trips will enhance to a new level once you review the images and video to see which animals are lurking about and what their activity looks like. Then from there, you can start to use these cameras for other things like patrolling your home, too. 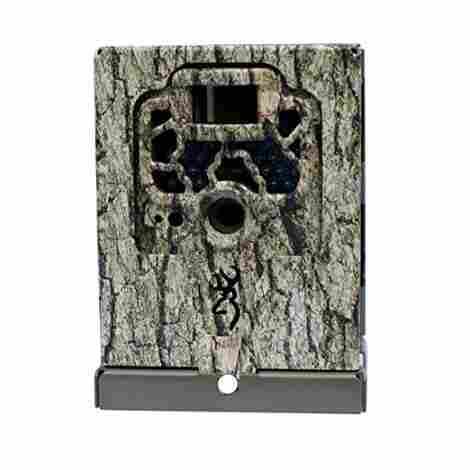 You will feel all-knowing with this Browning Strike Force trail camera at your disposal. With Zero Blur technology, all of your images and video footage should come out looking clear as if you are sitting right there in front of the action. Whether it is day or night, you will enjoy reviewing the action with non-blurred images. The lightning-fast trigger shot also helps capture precise movement sequences, too. This Browning Strike Force HD camera is full of great range when it comes to the infrared flash and its detection range. You don’t have to worry whether a buck or a bear is face-to-face with your camera (though that could be a cool shot) because the camera range reaches out up to 100 feet so you can still monitor the activity of your game from a distance. Since this Browning Strike Force HD Trail Camera is such a handy tool for hunting and patrolling your property, it is a great product and worth the investment. You are sure to feel like your hunting experience is heightened and more successful, and you will feel more aware and secure once you know what activity is happening day and night. And, because it is made to blend in with its surrounds, you won’t have to worry about it being tampered with. You can welcome a successful hunting season into your life with Browning Trail Cameras. Since these cameras are so easy to use and yield so many benefits like high-quality photos and videos that you can rely on, it almost feels like a no-brainer for every avid hunter to have one (or a few) of these on hand. But you don’t have to be a hunter to appreciate these cameras as well! If you are simply an outdoors person and love the art of watching wildlife up close in the woods or even in your backyard, these Browning cameras will help you see activity right before your eyes. With such great quality, you won’t have to guess at what is appearing on the camera. And, with a long-lasting battery life, you can rest easy knowing that you can use the Browning Trail Cameras from day until night to grasp a full array of activity without missing an image. Adding Browning Trail Cameras to your scouting arsenal will soon be the best decision you made for the season. Make your hunting experience (and wildlife watching experience) better no matter where you are by getting properly equipped today! When you starting looking for a trail camera, you will run into one of three types of cameras. The first kind is flash trail cameras which take a traditional photograph. There are also infrared cameras that take an infrared picture of any animals that set off the camera’s detection. Finally, you may run into the newer wireless cameras which are capable of streaming images directly to your tablet or smartphone device. All of these cameras are great options for trail cameras but they will differ in price and the kinds of photographs that they will take so you will want to take your time to become familiar with each camera type prior to making a purchase. Flash trail cameras are essentially digital cameras that take a regular picture when an animal triggers the camera. 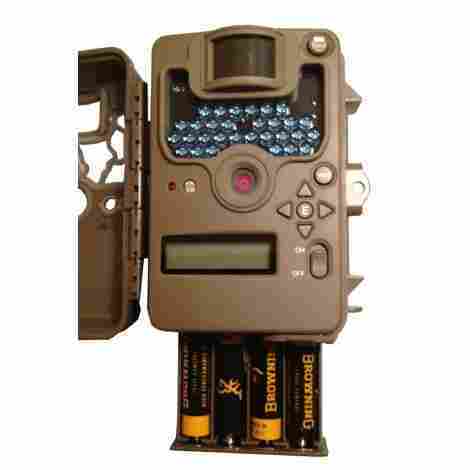 This kind of trail camera needs a source of light in order to capture an image, so it uses a flash bulb to produce a light source when the camera is in low light conditions. Most of the time the camera will take a color image in the day while only taking a black and white image when it is used at night. A flash trail camera is great for showing the detail of the animal since it able to capture color which makes it ideal when you want to see clear images of what sort of animals are on the trail. Many of these cameras are also able to record video as well and they may even have burst modes that allow the camera to take pictures in rapid succession in the event that the animal is running past the camera. You will need to keep in mind that a flash trail camera consumes more power because it has to power the flashlight in order to take a picture so this is a consideration that you will need to think about. The flash can also scare away game as well. If you have concerns about a flash trail camera, then you may want to try an infrared camera. This is a camera that takes an image of thermal energy (body heat) of the animal. Rather than using a light source, the camera detects changes in heat which allows it to capture an image of the animal in dark condition. There is no flash required to take a photo, so you do not need to worry about an infrared camera scaring game away from the camera’s location. It also can last longer on a single battery charge since there is no need for it to power a flashlight to take a picture. You may have trouble viewing clear images of the animals when you are using an infrared camera. Small animals do not produce as much body heat as large animals which may make it difficult for the camera to capture a clear image of the animal. Infrared cameras work best when you are monitoring large game in your hunting areas such as deer, elk, or bears. If you are trying to watch for smaller game, then you will need to get an infrared camera that is higher quality and has a more sensitive camera so that it can detect infrared radiation better. A final type of trail camera that you may see when you are shopping is a wireless trail camera. This kind is a high tech option that uses a connection to a cellular tower or a nearby Wifi connection to stream images to the cloud. You will need to either access a website or use an application on your tablet or smartphone to see the images that are taken by a wireless trail camera. One of the main advantages of using a wireless camera is that you do not need to go out with the camera to see what is going on in your hunting area. This allows you to regularly monitor your area while only needing to go out to change the batteries of the camera. However, a wireless camera needs a stable connection to the internet in order to function properly which isn’t always feasible. For example, if you are hunting in a remote area that doesn’t even have cell phone reception, then chance are that a wireless trail camera is not a suitable choice for your needs. Many people do use wireless trail cameras for home security purposes because they can be located near a house and connected to the home’s wireless network. All three kinds are great options for trail cameras depending on what your needs as a hunter happen to be. You should always take the time to look at the detail of your camera and decide what sort of camera will work best for you. Some people prefer one sort of camera over another kind but all of them serve the same purpose of taking pictures of wildlife. It is up to you to decide what kind of picture you like best. It would not be desirable to have a trail camera run twenty-four hours a day. Doing so would consume the battery and the memory of the camera while providing you images that do not even have wildlife. In order to make the trail camera useful, manufacturers have developed solutions that allow the camera to detect if there is an animal nearby. Upon detecting an animal, the camera will either take a photograph of the animal or record video so that when you look at the pictures on the camera, you will see wildlife rather than pictures of a field, marsh, or woods. You can think of a trail cameras detection capabilities in three parts. The first part is the zone of detection, which specifies how near to the camera an animal needs to be in order to take a picture. Then you need to consider the trigger time of the camera which is the amount of lag time that occurs between when the camera detects an animal and when it takes a picture. Finally, the camera needs time to reset and recharge so that it can take another picture. When you are looking at a trail camera, you will need to consider all three components in order to properly evaluate it. The detection range is critical because this part specifies how near to the camera an animal has to be in order to trigger a photograph. The longer and wider the detection zone is on a camera, the more wildlife you are likely to see. However, there is a catch that you need to think about which is that the camera itself needs to be able to take pictures of wildlife at long range. There is no point in owning a trail camera that has a detection range that is outside of the camera’s ability to take clear photos so you need to make sure that the detection range is close enough. Detection range is measured in width and height. Most trail cameras will show an arc figure that is shaped like a slice of pizza with the point of the shape being the camera’s location. A lower end trail camera will normally have a detection range of around 50FT while higher quality cameras have detection ranges that are past 85FT. When you are positioning the camera, you will want to pay attention to the detection range in order to capture the widest possible view. You will be much more successful with your trail camera when you place it in a wide open area that is free from obstructions rather than placing it in a densely wooded area. After you take a look at the detection range, you will need to turn your attention to the trigger time. As mentioned earlier, trigger time is the amount of time that elapses from when an animal has been detected by the camera to when the image of the animal is taken. The good news is that modern trail cameras have trigger times that are in the fraction. Trigger speed is an area that you can save some money if you wish. For example, if your only intention is to monitor a food plot, then you do not need a camera that has a fast trigger speed. On the other hand, if you are trying to record fast moving animals, then you need a camera that has a fast trigger speed. Recovery time is related to trigger speed but is measured after an image of the animal has been taken. Once again, this is an area where you want to think about if the recovery time makes sense for your needs. If you are going to get a camera to monitor a food plot, then it may not be necessary for you to get a trail camera that has a fast recovery time. On the other hand, if you are going to be capturing pictures of fast moving animals, then you will want to look for a trail camera that has a fast recovery time so that you can get plenty of images of moving game or wildlife. A trail requires a mechanism to detect game so that it is only taking pictures of wildlife. This will help the camera save on both battery and memory plus it makes sure that the camera is only taking meaningful pictures. When you are considering the detection features, you will want to think about the detection range, trigger time, and the recovery time. The detection range determines how near an animal needs to be to the trail camera in order to trigger a picture. The trigger time is the lag time between detection and when the photograph is taken and the recovery time is how much time is needed to take another picture after it has taken a picture. Cameras that have long detection ranges with fast trigger and recovery times will cost more so you will need to decide what sort of features you need in the camera’s detection. One of the things that you will be advertised repeatedly by manufacturers of trail cameras is the quality of picture that the camera is capable of taking. 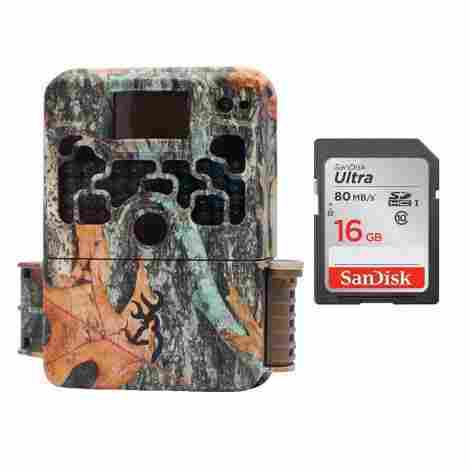 This is an important part of a trail camera purchase because higher priced cameras will take higher quality images while lower quality cameras take lower quality images. When you are picking out a camera, you will want to think about the quality of the image because image quality is directly tied to the price. There are some instances where you will want to own high-resolution cameras but on the other hand, having one may not make sense. Digital cameras measure their image quality in megapixels. A pixel is the smallest point in an image so the more pixels there are, the higher resolution the picture will be. That means that a four-megapixel camera will not take as fine of an image as a 100-megapixel one. Although megapixels are directly tied to the quality of the image, they are also directly tied to the amount of memory that the image will consume in the camera memory. This means that you will either need to check your trail camera more often or you will need a trail camera that has a higher storage capacity when you are taking high-quality pictures. There are certainly use cases where you will want to have a high-resolution trail camera. For example, when you are taking pictures after dark, a high megapixel camera will be able to capture more detail than a low-resolution one. This is also true when you are taking pictures of animals that are moving quickly because once again, a high megapixel camera can capture more detail than a low-resolution camera. Another advantage of taking high-resolution pictures is that you can zoom in on the photos when you are viewing them on a computer or mobile device. This will allow you to analyze things that may be in the background or enhance the photo. However, there are times when high resolution is overkill for your needs. For example, if you are monitoring a food plot where animals are near to the camera and are mostly standing still, then you do not need a high-resolution camera. This will allow you to save some money on the camera which means that you can get more cameras or spend the money on something else. Also, whenever you are monitoring an area where there is not a lot of cover for animals such as a field, then you may not need a high-resolution camera either because the animals are more visible and less likely to blend into the background. Some trail cameras have software that will let you set the resolution of the picture. If you find that your camera is running out of memory too quickly, then you can turn down the resolution so that it saves memory. Wireless cameras can also benefit from such a feature since lower resolution photos since lower resolution means that there is less data that needs to get transferred over a cellular or wifi network. A high-resolution camera that can be adjusted to lower resolution is a flexible option if you are concerned about versatility in your trail camera. If you are interested in taking videos, then the resolution will also impact the quality of the video as well. Videos are stored as a series of frames, which are essentially pictures that are taken in rapid succession. This means that a higher quality camera will also take a video that has a higher quality as well. 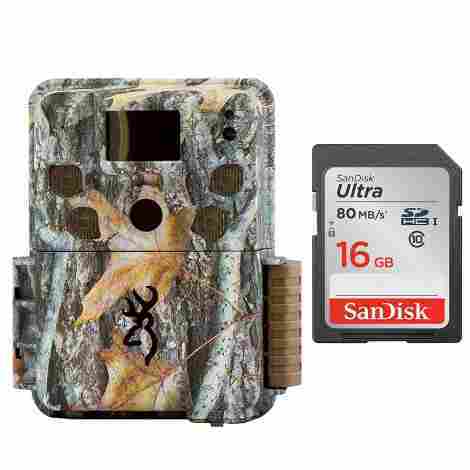 Generally speaking, if you are planning on setting up your trail camera to take videos, you will need to make sure that the trail camera has enough storage space for the videos. Although video files are compressed to save room on the SD card, they still take up a considerable amount of room in the camera memory. Videos will also require more time to upload when you are using a wireless camera as well so this is something that you will need to think about when you are taking videos with a trail camera. As always, you are going to need to pick out a browning trail camera that has the proper image resolution for your needs. Camera resolutions are measured in megapixels and the higher the megapixels, the better the image will be. On the other hand, the price of the camera will increase as the megapixels increase as well, so you are going to need to think about an image resolution that works best for your needs. When you need high-quality pictures, then you will need to go with a high-resolution camera. If you do not think you will need high-resolution images, then you can save a few dollars by getting a lower resolution camera. Trail cameras need a source of electricity in order for them to operate which means that you will need to think about what sort of power source the trail camera uses as well as how long the power source will last. The more energy efficient your trail camera is, the less you will need to go out with the camera to change the batteries. There are a few different power sources that are common for trail cameras which include internal batteries, external batteries, and solar power. When you are shopping for a trail camera, you should start by looking at the camera’s energy efficiency. Regardless of your power source, a camera that uses less energy will require less maintenance which means that you will not need to take as many trips outside. Infrared cameras use the least amount of power since they do not need to power a flash to take a picture. A wireless camera needs to maintain a connection to the internet and will require more power to run. Flash cameras normally fall in between infrared and wireless cameras in terms of power consumption. The location of the camera is also going to affect the battery life as well. When the camera is located in a colder climate, the batteries need to work harder in order to produce electricity. This means that your trail camera will burn through more energy to operate in a cold environment as opposed to a warm environment. Your camera’s detection also plays a factor in energy consumption since a camera that has a long detection range will take more pictures and therefore will use more energy. Knowing about your camera’s energy needs will help you pick out the right source of power. One of the most common kinds of power sources is internal batteries which can be AA, C, or even D cell batteries. This kind of power source is ideal if your camera has low or medium power needs since these batteries do not last as long as the other power options. Alkaline batteries are the most common kind of battery but they do last as long as lithium batteries. Lithium batteries also tend to perform better when the camera is in cold temperatures and they run at a higher voltage which will help your camera take better pictures for a longer period of time. The downside of lithium batteries is that the cost more than alkaline batteries but it is well worth the extra expense. If your camera has medium to high energy needs, then you will want to consider getting a trail camera that uses an external power source. Some cameras have 6V or 12V inputs for a power adaptor which allows you to use a higher capacity battery with the trail camera. You will need to make sure that the battery has been designed for outdoor use when you take advantage of this option because unlike internal batteries, your camera will not protect an external battery from the weather. It is also important for you to verify that the battery will work with your camera because the wrong kind of battery can ruin your trail camera. However, external batteries are great for when you do not live near your trail camera or your trail camera consumes a lot of power. They have a much higher storage capacity than internal batters which allows them to power your trail camera for longer periods of time. While you will spend little more on this setup, you will likely find that the convenience is worth the extra money when you start considering gas and time to check on the cameras. Solar panels are a final option that some people use with their trail cameras because as long as the solar panel is working properly, the camera will have power. This spares you from the trouble of having to worry about the camera running out of energy. To use a solar panel, you will need to pick out a model of trail camera that has an external power source and then purchase a solar panel that has the proper voltage. That means if your trail camera has a 12V input, then you need a solar panel that produces 12V of electricity. Trail cameras run on electricity and since you will not have an electrical outlet in the wilderness, you will need to think about the energy consumption as well as the power source. There are generally three options of power sources for trail cameras but internal batteries tend to be the most commonly used. You can also use external power sources such as an external battery or a solar panel. The more power your trail camera uses, the larger the power supply will need to be so you will need to think about power consumption when you are picking out a trail camera. Trail cameras need a place to permanently store the pictures and videos that are taken. There are essentially three places where the camera can store an image. The first place is an internal memory store, followed by an expandable memory storage such as an SD card. Finally, newer cameras that have a connection to the internet can store pictures in the cloud, which is essentially unlimited storage. The number of memory matters because you will need to come and check on the camera more often if it does not have a lot of memory. You should always be conscious of memory because more memory means less maintenance. In today’s world, memory is normally measured in Gigabytes but it is possible that you may still see some trail cameras that still measure memory in megabytes. More gigabytes means more room for pictures and videos so you are looking for the largest number possible when you are judging memory. When you are shopping, you will notice that a camera can have internal memory and then possibly expandable memory. Whenever possible, you should always get a camera that has expandable memory. Cameras that only use internal memory have a number of limitations and they do not even noticeably cost less than a camera that has expandable memory. One issue with internal memory only is that there is no way to add more memory when you want to do so without replacing the camera. That means that you are limited to the amount of memory provided by the manufacturer. It may also require you to remove the camera from where it is has been mounted and then hook it up to a computer in order to download the pictures from the camera. This requires that you do more work than what is necessary. External memory, by contrast, is always easier to work with. When your camera has an external memory slot, there will be a place where you can insert an SD or micro-SD card into the camera. The camera will then store pictures and videos onto this card which can be removed from the camera when it is full. This will allow you to put a fresh SD card into the camera and continue to use it while you take the full SD card home and download them to your computer. Should you find that you are running out of memory too often, you can simply purchase an SD card that has a higher capacity. Inexpensive SD cards generally have 4GB of storage, but you can purchase high capacity cards that have 32G or even 64GB of storage or more. Naturally, the cost of the SD card will go up as the capacity gets higher but this allows you to start out small and work your way up to a larger card. Finally, if an SD card fails, you can just replace it where a camera that only uses internal memory would require you to replace the entire camera. Storage is different for wireless cameras. Although a wireless camera needs internal or SD card storage it is only meant for temporary usage. Once the images have been uploaded to the cloud, there is no longer a need for them to be stored on the device. In theory, the cloud provides the device with unlimited photo storage. In practice, you will most likely be offered a plan that limits the amount of cloud storage you are allowed with offers to purchase additional cloud storage. However, since the device itself will not run out of memory, you will not need to worry about checking on the device in order to make sure that hasn’t run out of memory. As long as your wireless trail camera is able to maintain an active connection to the internet, it will have more than enough storage space for both photos and videos. The amount of memory that is included with your trail camera will make a huge difference in your experience with the camera. Some of the less expensive cameras only have internal memory but you will want to avoid these cameras and go for a camera that works with SD or microSD cards. This will help make sure that your camera has plenty of storage space for all of the pictures that it takes. They are also much more convenient to use since you only need to take the card with you rather than removing the entire camera. Alternatively, you can look at the wireless cameras as well since they store images on the cloud. Regardless of what sort of camera you end up getting, you should always make sure that it has enough storage space. Memory is important because it is where the camera stores the images after they have been taken. The more memory your trail camera has, the less often you will need to check it. This can be really handy when you are not near the camera which is why you should always make sure your camera has plenty of memory. Q: Are trail cameras used for home security? A: Many people do use trail cameras for home security purposes because trail cameras usually cost less than home security cameras. You can also get creative with the placement of your trail camera because you can mount them to trees in your yard or locate them in other places that are more difficult for trespassers to notice them. Wireless trail cameras are popular for this purpose since you can always have an eye on your home and the camera is located near your home’s wireless network. Q: What are the different kinds of flashes that you can get with a camera? A: You can find cameras with white flash, low glow, and black flash. White flash uses bright white light when a picture is getting taken of an animal. The low glow uses a dimmer flash which is less likely to scare off an animal when they are photographed. Finally, the black flash doesn’t emit visible light but instead uses infrared light to illuminate a target. This has no chance of alerting an animal to the presences of the camera. Q: How can I look at my pictures? A: Many trail cameras have a viewing screen that is built into the camera which allows you to look at the pictures that were taken. You can also download the pictures to a computer or a mobile device and view them on your device as well. Finally, the wireless cameras upload the pictures to the internet where you can look at the pictures by using any device that has a web browser or a mobile application that is written for your mobile device. Q: Will I still need to use batteries with a solar panel? A: Solar panels only produce electricity when there is light so you will always need some sort of battery storage so that your trail camera has power at night. You can find units where a solar panel will charge batteries during the day or you can just put batteries in the device which will only get used when there isn’t enough power coming from the solar panel. This will allow the batteries to last for a longer period of time. Q: Can trail cameras record audio? 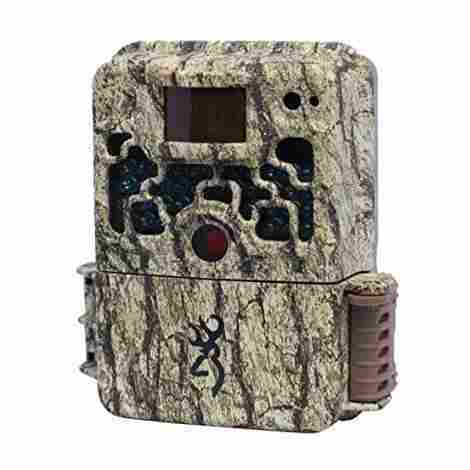 A: There are trail cameras available that are able to record audio while they are taking video. In order for audio to work, you will need to make sure that your trail camera has the hardware that is required to pick up audio. That means the trail camera has to have some sort of an internal or external microphone and it needs to have software to record audio with the video. If you want audio recording, then you need to check the specifications of the camera to make sure that it can record audio.